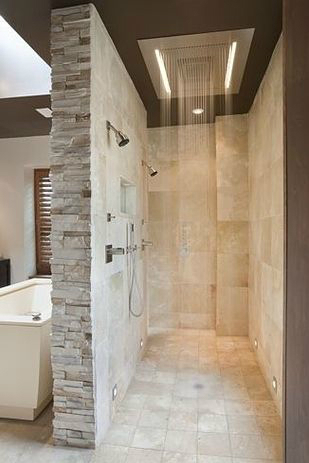 The bathroom is one of the few rooms in the house where many people are willing to spend huge sums of money to renovate. 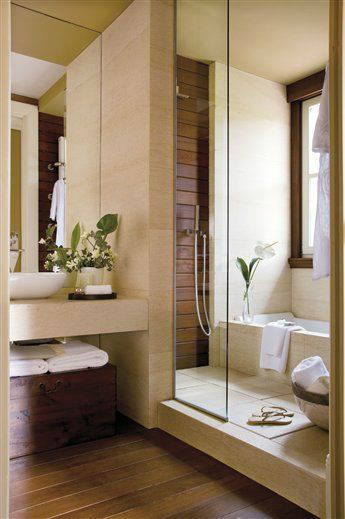 Inspired by dream magazine bathrooms, homeowners want to create a bathroom that exudes luxury and comfort. 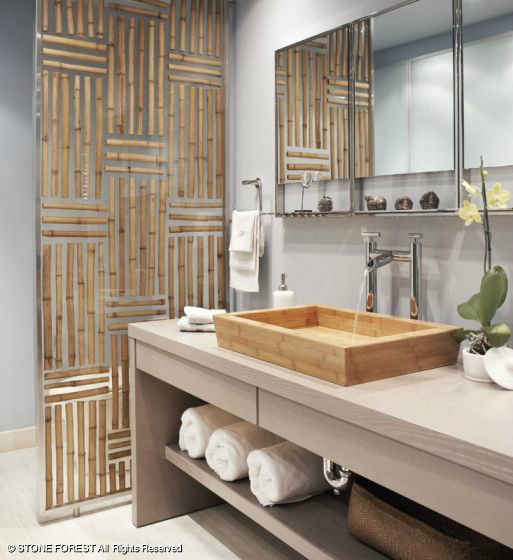 One of the most common styles people desire to see in their bathrooms is a Spa-styled decor. 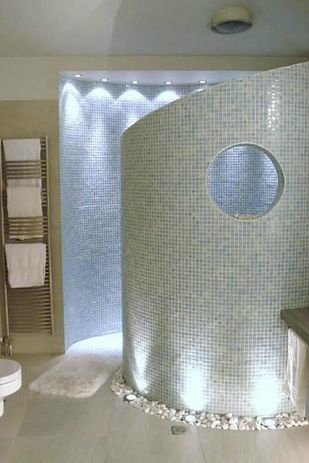 Bringing the ultra relaxing spa-experience into your personal bathroom is no easy task and certainly not a cheap one. 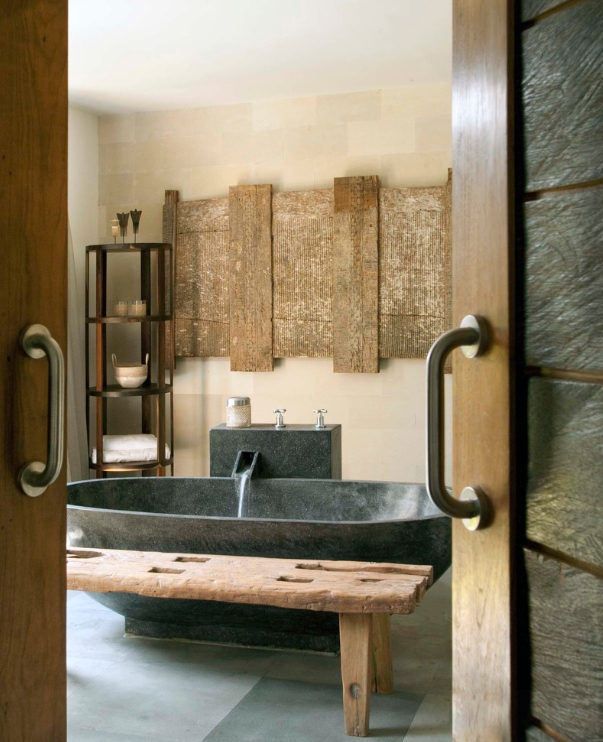 Here are 10 spa bathroom ideas you can use. 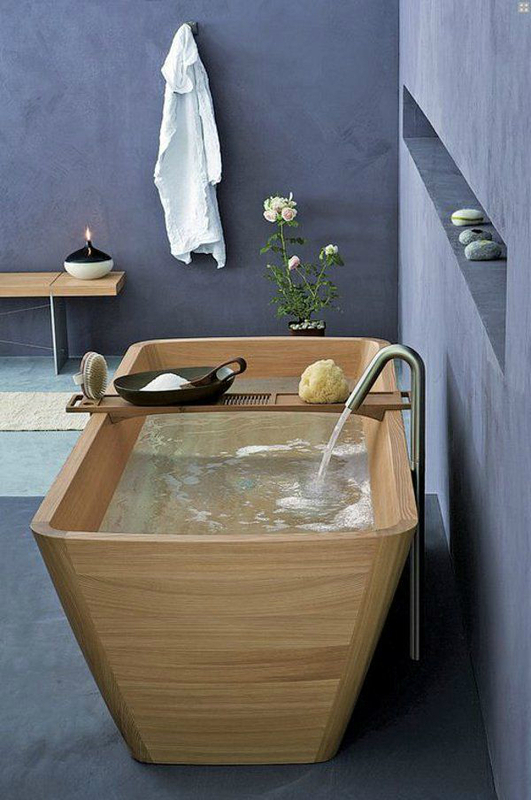 One thing that makes spas so relaxing is the absence of clutter. It gives the mind room to unwind. 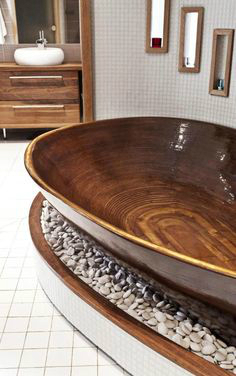 Do the same for your bathroom. 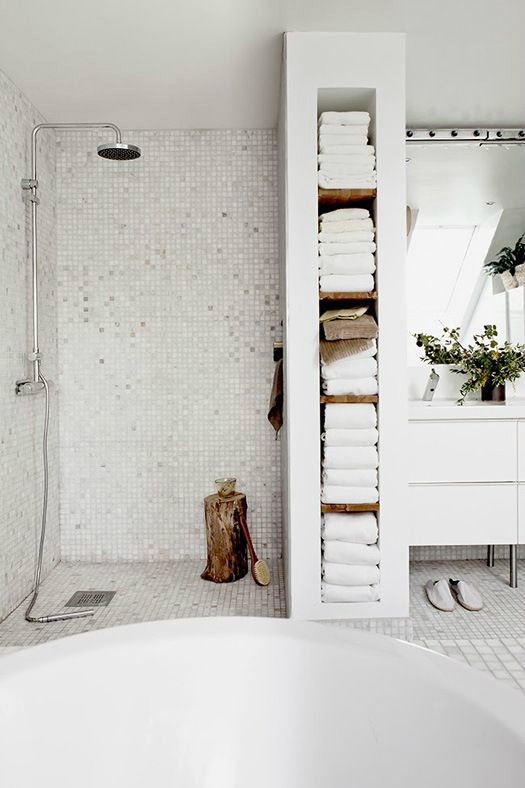 Start with the cabinets and drawers and throw away anything you do not need. Put things like toothbrushes, candles and bathing supplies out of site. 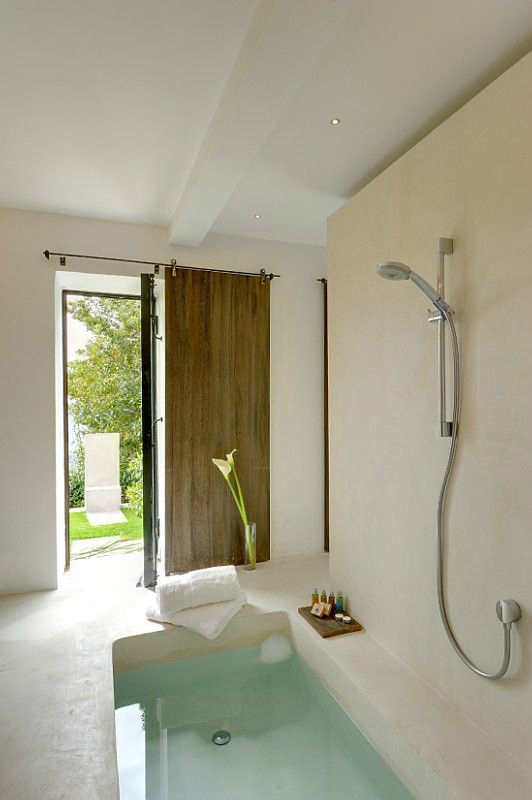 Natural light is an essential part of getting the mind to relax. It also triggers the release of happiness-inducing hormones. 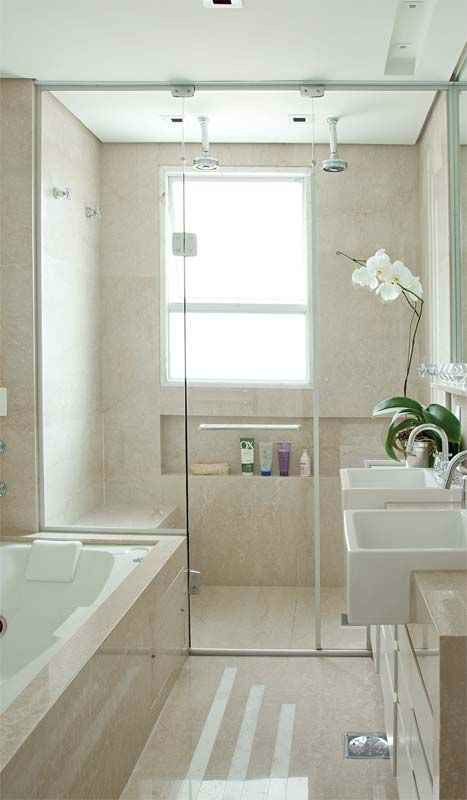 It can be a large window on one wall or a medium sized window next to the bathtub. 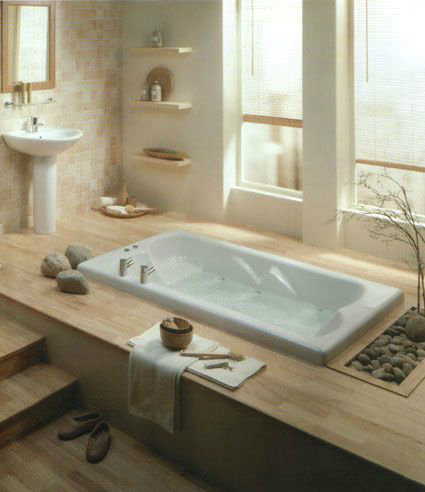 The view will also be very relaxing. 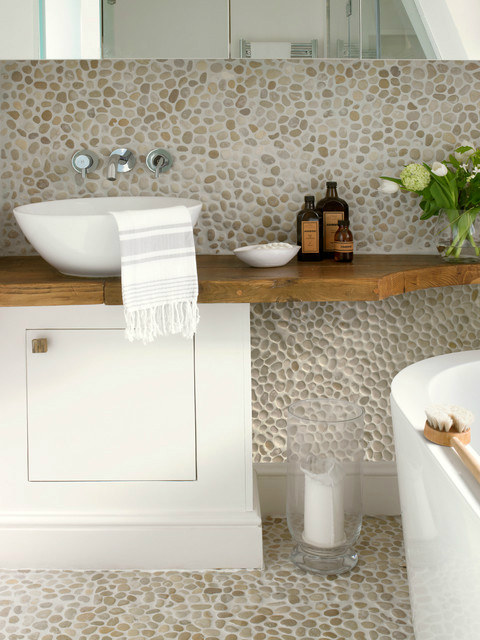 Have you ever noticed that most spa-style bathrooms use a lot of white? Use it on the ceiling and the walls. 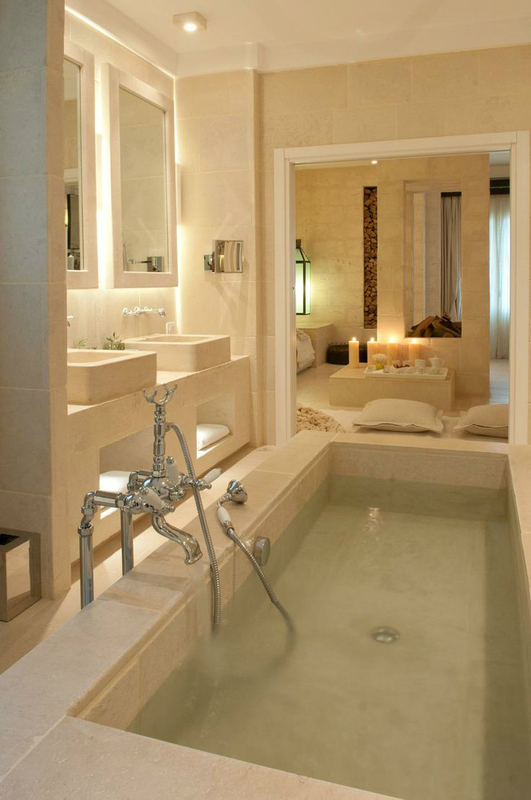 The lights in the bathroom should also complement this white spa bathroom décor. 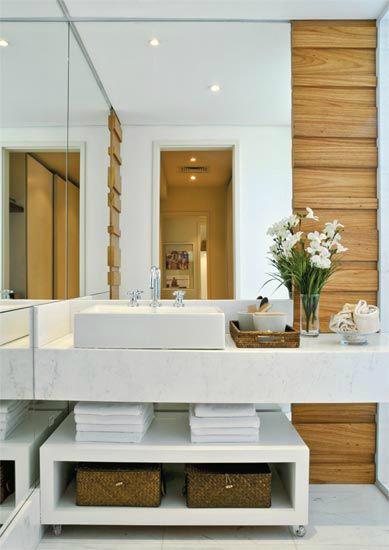 To balance it off, use other colors in other areas such as on vases, tissue roll holder and cabinet. 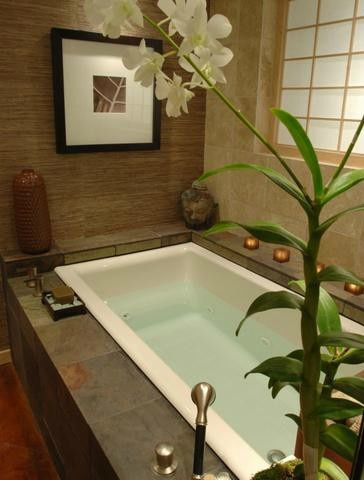 A spa, by virtue of its privacy, is good at making you feel like you have escaped the world and its troubles. 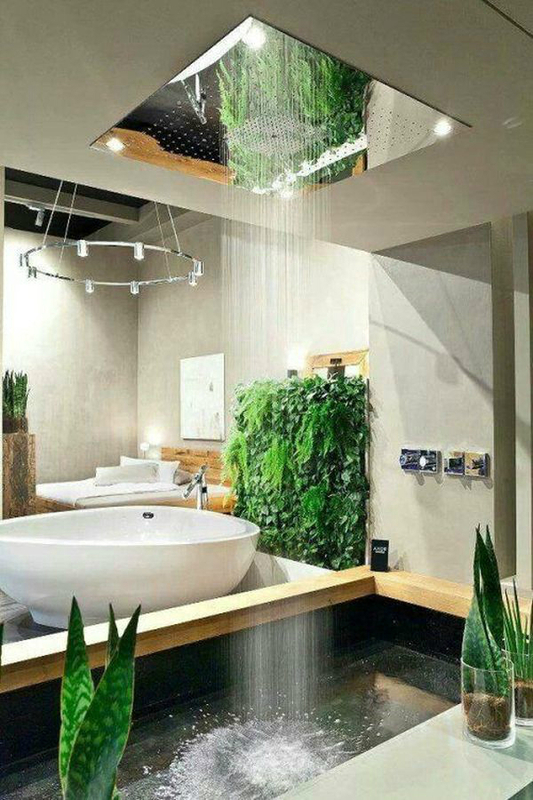 Try the same in your bathroom. 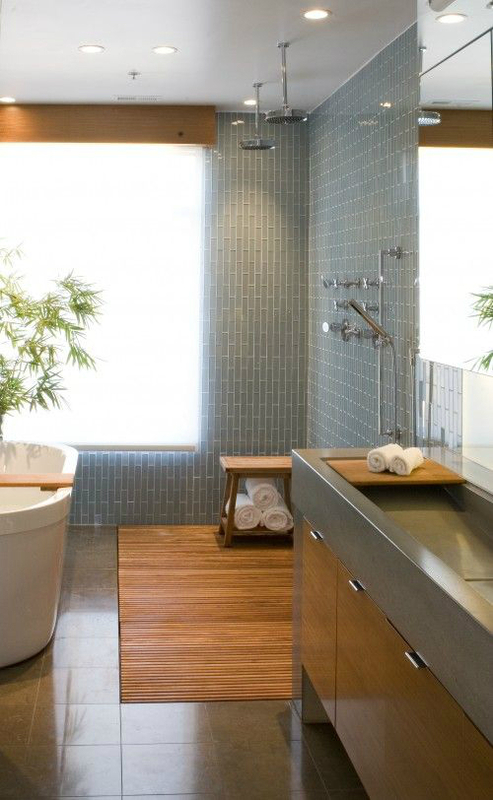 A colorful shower curtain separating the tub from the rest of the bathroom will adequately do the trick. Alternatively, use large potted plants. 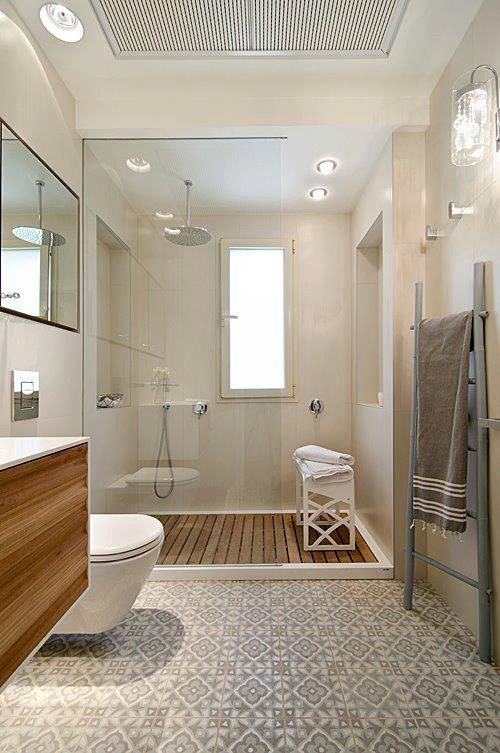 Don’t rely only on the overhead light to keep your bathroom well lighted. 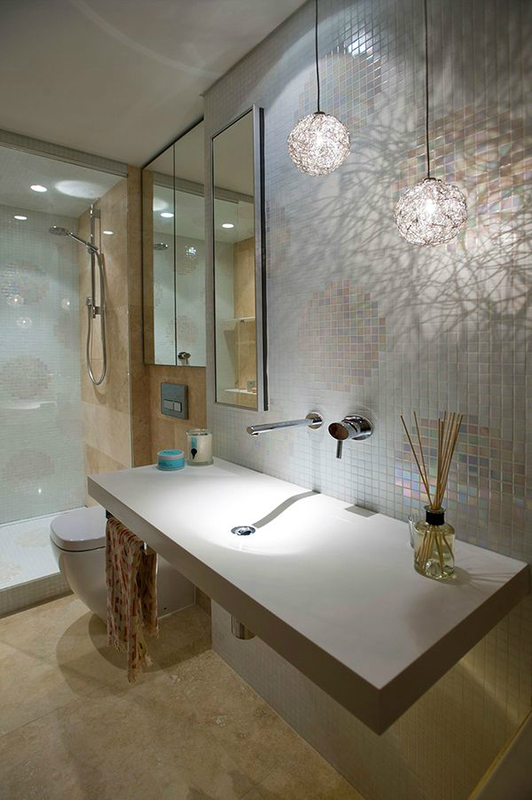 Install some stylish lamps in various areas of the bathroom to create a uniform lighted environment. 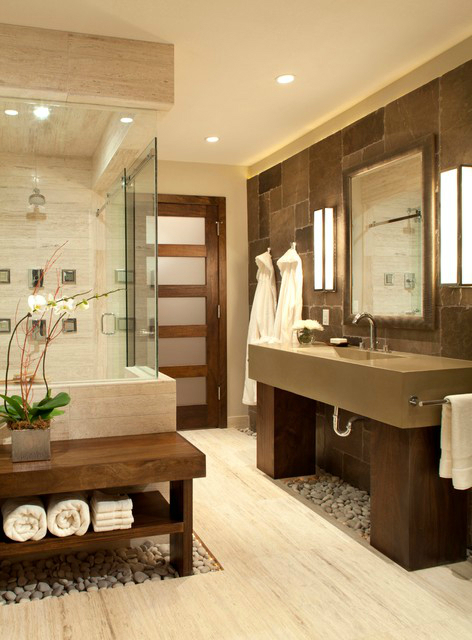 You can also make use of dimmers to lower the brightness when you need to take a relaxing bath. 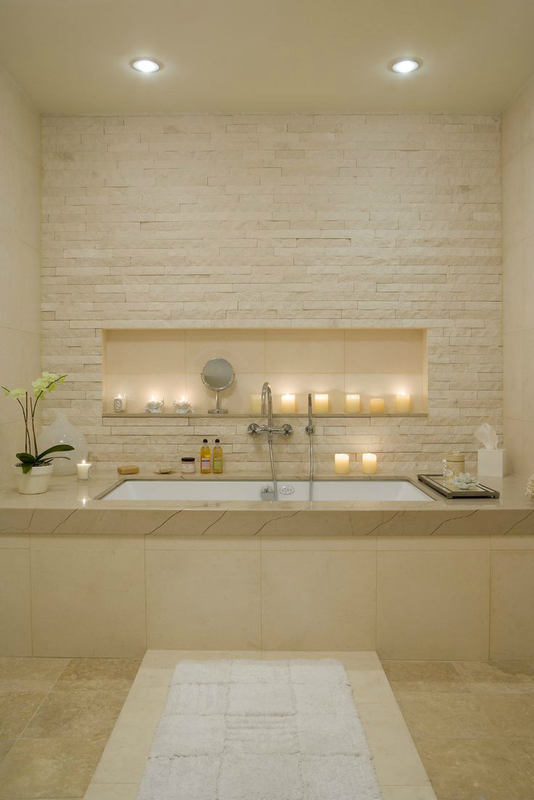 The ultimate spa experience involves all the senses. So as you focus on what you see, do not forget about sound. This is especially important if there are unpleasant sounds nearby like construction noise. Use white noise or soft music to create a pleasant auditory experience. 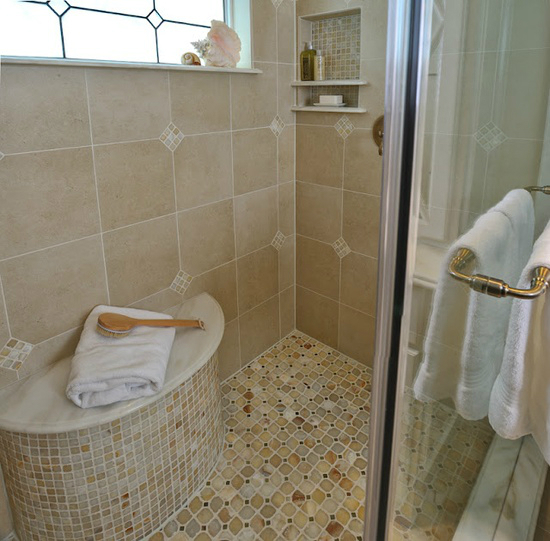 Wouldn’t you think twice about returning to a spa that was cluttered and disorganized? 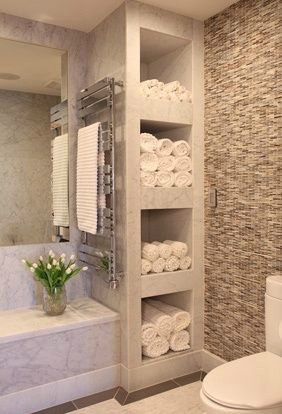 Do not leave towel lying around everywhere or your bath oils arranged haphazardly on the bathroom counter. 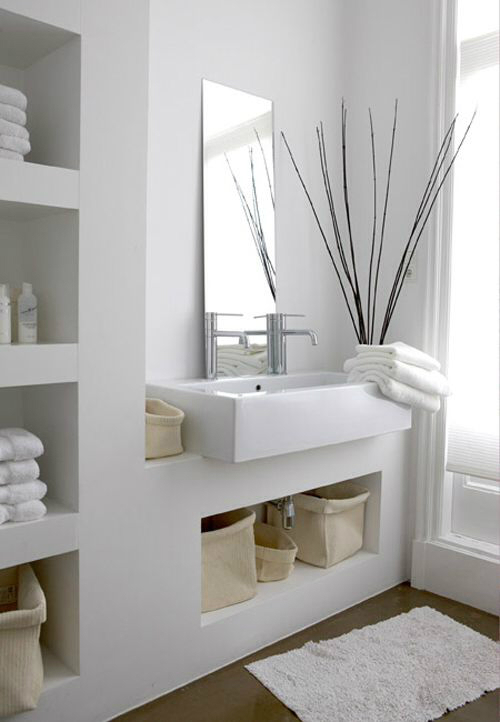 If you find maintaining neatness to be a challenge, start with the first tip of going with a minimalist style. 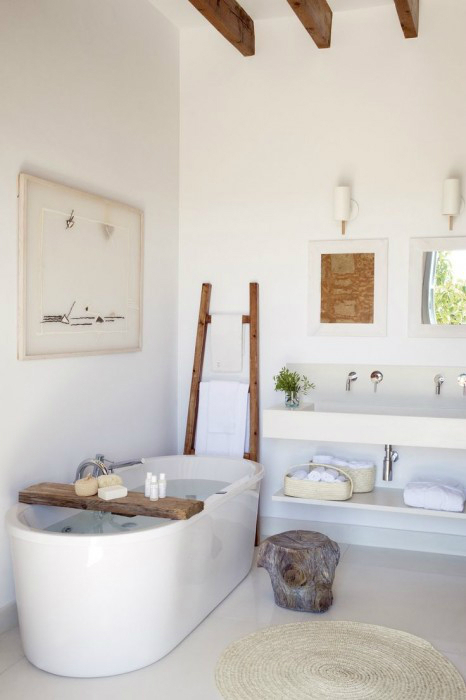 It can be a large painting hanging on a wall, a wacky pattern on the bathroom tiles or a large sculpture placed in a strategic position. Flowers in a vase or pot help create a natural relaxing feel. It also helps keep the bathroom fresh. 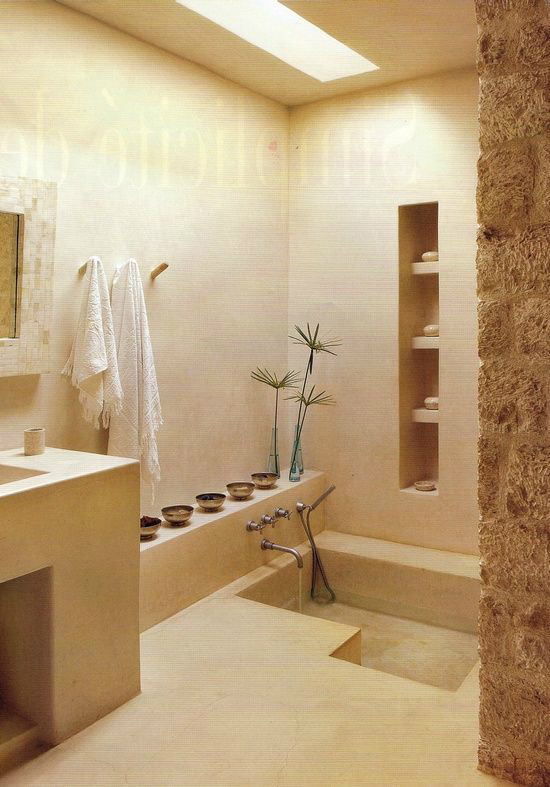 Interior Design by talented Alla Tzecher, Photograph by Ilan Nachum. Can I user your design for my house. Wow. 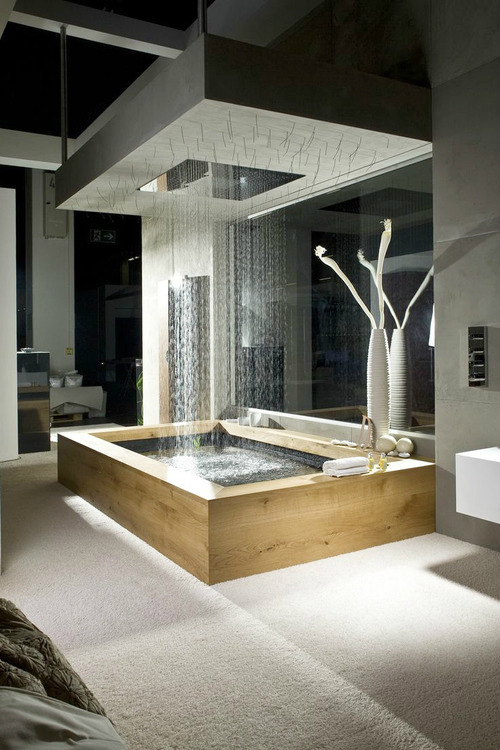 36 more reasons why I need to renovate my bathroom. 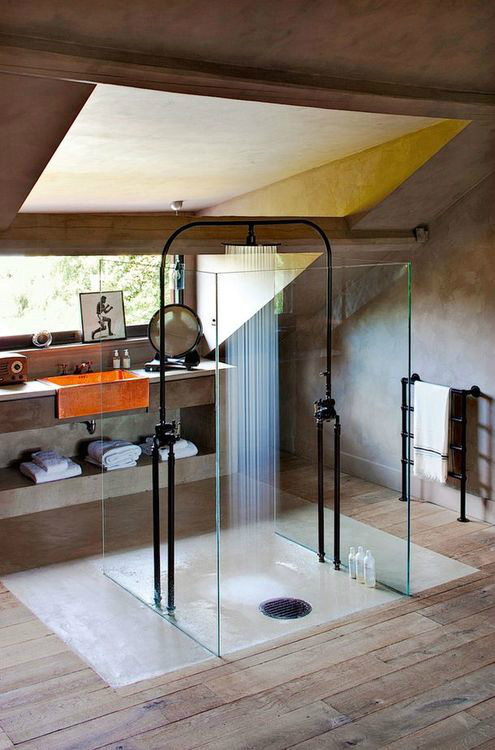 Outstanding bathroom design suggestions, many thanks for this post. 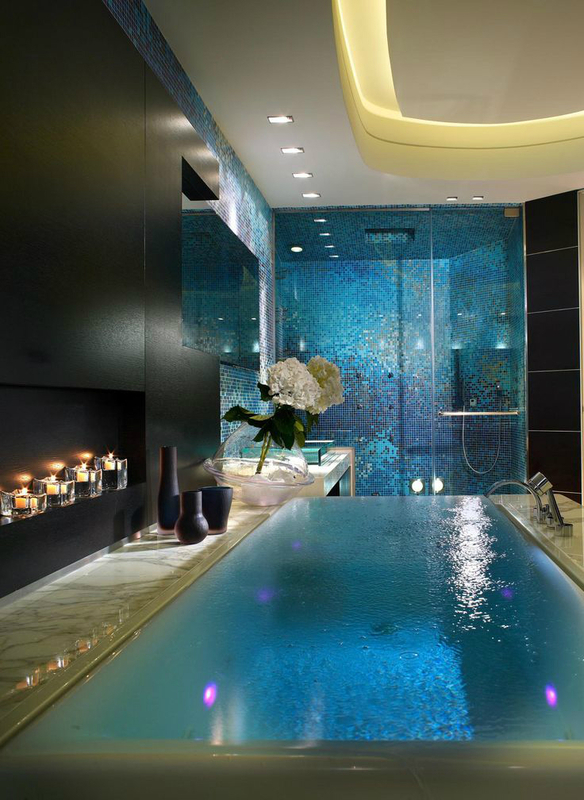 One of the many dream bathrooms. You really nailed it this time. Great! So nice design.love these all. Hi Melina. 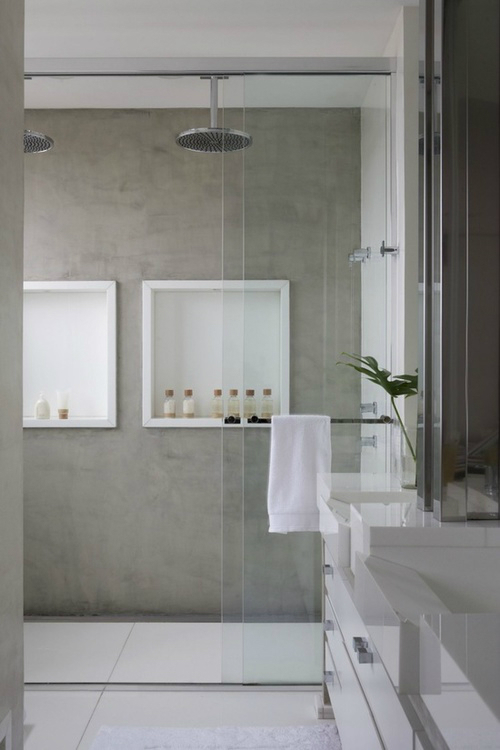 Thanks for the tips on making bathrooms more spa-like( I think I’ll start off easy by adding music), but you deserve an even bigger thank you for this collection of photos. 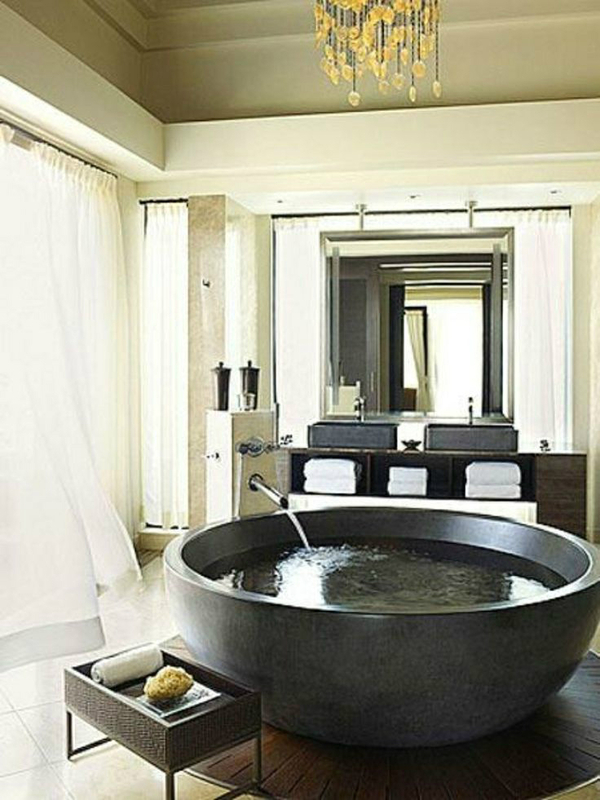 Some of the bathtubs are simply amazing. Your Instagram must be fantastic if this post is any indication.